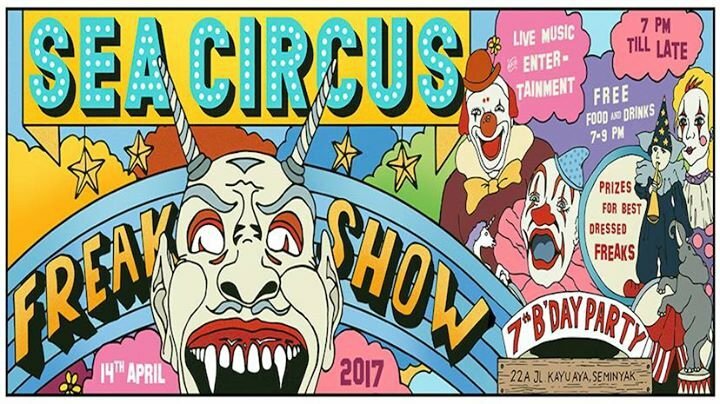 It’s that time of the year again: Sea Circus is turning a big ol’ 7 years old and they’re surely going to celebrate like never before. If you’ve ever been to a circus party before you will know that they never do things in halves – its all or nothin’ and this party will be no exception! As always, the party is a dress up theme and this year Sea Circus is returning to their freaky circus origins with a ‘FREAK SHOW’ theme. There will be big prizes up for grabs for the most FREAK-ILY dressed party goer, so get super weird and super wacky. The food and drinks will be flowing for free from 7 - 9 pm and there will be back to back live entertainment all night long. No need to make a booking or buy tickets - entry is free and all freaks are welcome.